Uh Oh! 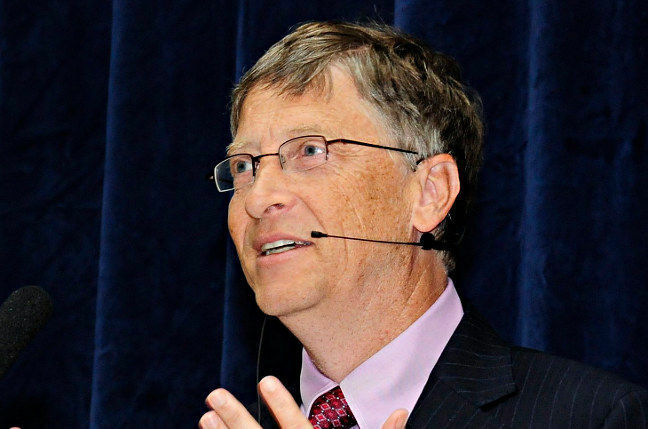 Bill Gates will be receiving an Obama IRS investigation for going against the chosen one’s ruse on alternative energy. This falls in the category of climate change being bigger threat than terrorism. If influential people like Bill Gates starts speaking out, this could expose how Obama has been greasing the palms of his donors & bundlers using taxpayer money to fund the solar scheme: Solyndra & First Solar to name two. Wonder how long before Mr. Gates retracts his statement? Then again the government spending taxpayer money to fund their fraudulent “Green” scheme under the guise of the “environment” is profitable way to redistribute taxpayer money, well to the correct democratic party supporters. That would be interesting given Bill Gates should be the darling of Obama’s redistribution of wealth agenda. Exactly! It could pose a bit of a quandary. However, Mr. Obama is a radical, he does not have the temperament to be challenged by whomever, including Bill Gates.Warren Buffet or the likes. It’s about power. Just this past week he scolded dissenters at the White House: hey hey hey you are in MY HOUSE! That statement tells me a lot about his mindset. Now the question is: will he actually leave his house on January 20, 2017?